A better way to make chemicals? Bulk solvents, widely used in the chemical industry, pose a serious threat to human health and the environment. As a result, there is growing interest in avoiding their use by relying on “mechanochemistry” – an energy-efficient alternative that uses high-frequency milling to drive reactions. Because milling involves the intense impact of steel balls in rapidly moving jars, however, the underlying chemistry is difficult to observe. Now, for the first time, scientists have studied a milling reaction in real time, using highly penetrating X-rays to observe the surprisingly rapid transformations as the mill mixed, ground, and transformed simple ingredients into a complex product. This research, reported Dec. 2 in Nature Chemistry, promises to advance scientists’ understanding of processes central to the pharmaceutical, metallurgical, cement and mineral industries – and could open new opportunities in “green chemistry” and environmentally friendly chemical synthesis. The international team of researchers was led by Tomislav Friščić of McGill University in collaboration with Ivan Halasz from the University of Zagreb in Croatia, and scientists from the University of Cambridge, the Max-Planck-Institute for Solid State Research in Stuttgart, Germany, and the European Synchrotron Radiation Facility (ESRF) in Grenoble, France. 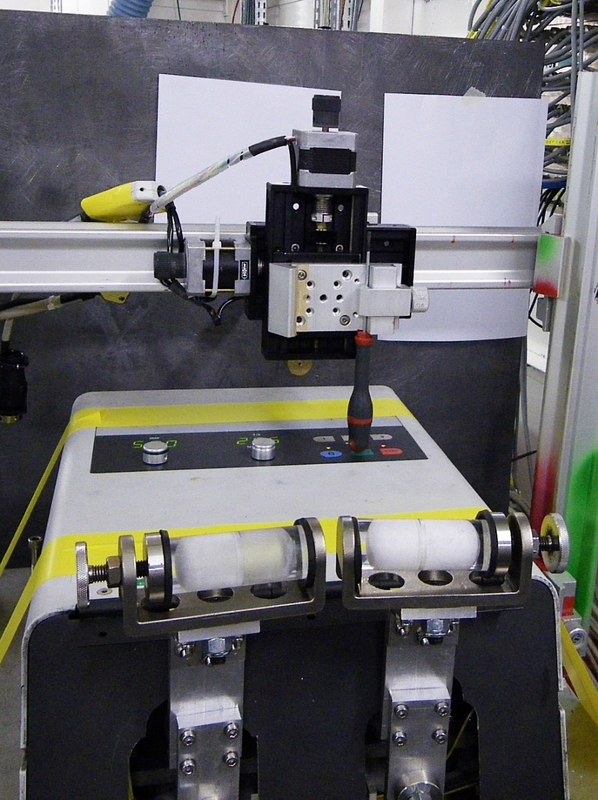 While mechanical action can break chemical bonds -- for example, in the wear and tear of textile fibers -- mechanical force can also be used to synthesize new chemical compounds and materials. In recent years, ball milling has become increasingly popular in the production of highly complex chemical structures. In such synthesis, steel balls are shaken with the reactants and catalysts in a rapidly vibrating jar. Chemical transformations take place at the sites of ball collision, where impact causes instant "hot spots" of localized heat and pressure. This is difficult to model and, without access to real time reaction monitoring, mechanochemistry remained poorly understood. ”When we set out to study these reactions, the challenge was to observe the entire reaction without disturbing it, in particular the short-lived intermediates that appear and disappear under continuous impact in less than a minute”, says Friščić, an assistant professor in McGill’s Department of Chemistry. 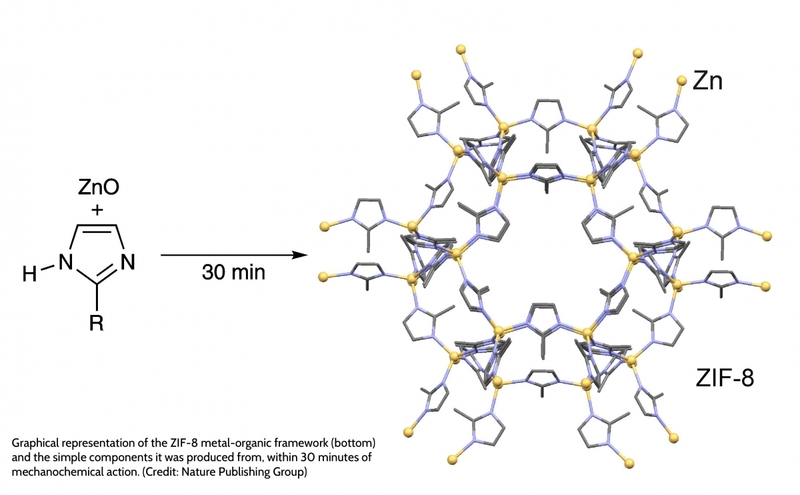 The team of scientists chose to study mechanochemical production of the metal-organic framework ZIF-8 from the simplest and non-toxic components. Materials such as ZIF-8 are rapidly gaining popularity for their ability to capture large amounts of CO2; if manufactured cheaply and sustainably, they could become widely used for carbon capture and storage, catalysis and even hydrogen storage. 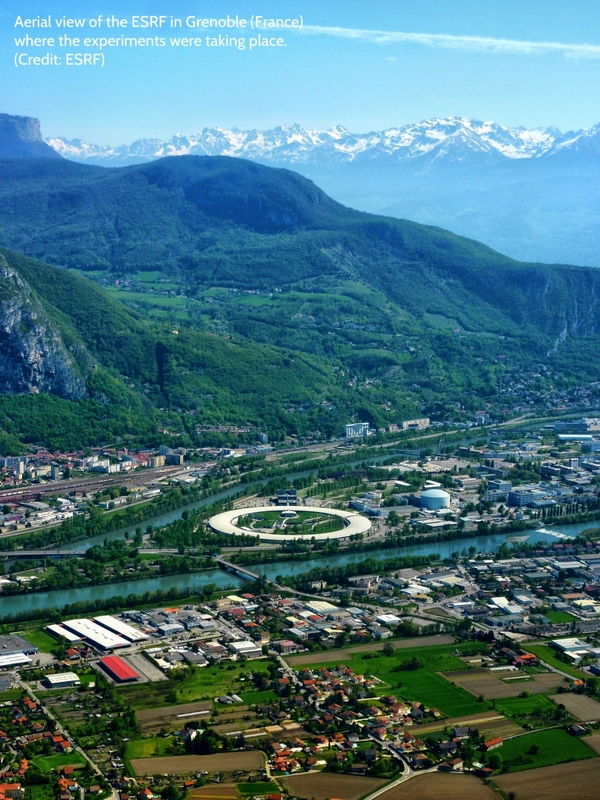 “The team came to the ESRF because of our high-energy X-rays capable of penetrating 3 mm thick walls of a rapidly moving reaction jar made of steel, aluminium or plastic. The X-ray beam must get inside the jar to probe the mechanochemical formation of ZIF-8, and then out again to detect the changes as they happened“, says Simon Kimber, a scientist at the European Synchrotron Radiation Facility (ESRF) in Grenoble, who is a member of the team. This unprecedented methodology enabled the real-time observation of reaction kinetics, reaction intermediates and the development of their respective nanoparticles. In principle, this technique could be used to study all types of chemical reactions in a ball mill, and optimize them for processing in a range of industries. “That would translate into good news for the environment, for industry -- and for consumers,” Friščić says. The researchers in the team were supported by the Herchel Smith Fund, the British Council/DAAD, ESRF Grenoble, NanoDTC, the University of Cambridge, the Ministry of Science, Education and Sports of the Republic of Croatia, McGill University and the FRQNT Centre for Green Chemistry and Catalysis.